This year, Udi’s (one of my favorite, go-to gluten free brands) decided to try out a virtual gluten-free Friendsgiving! 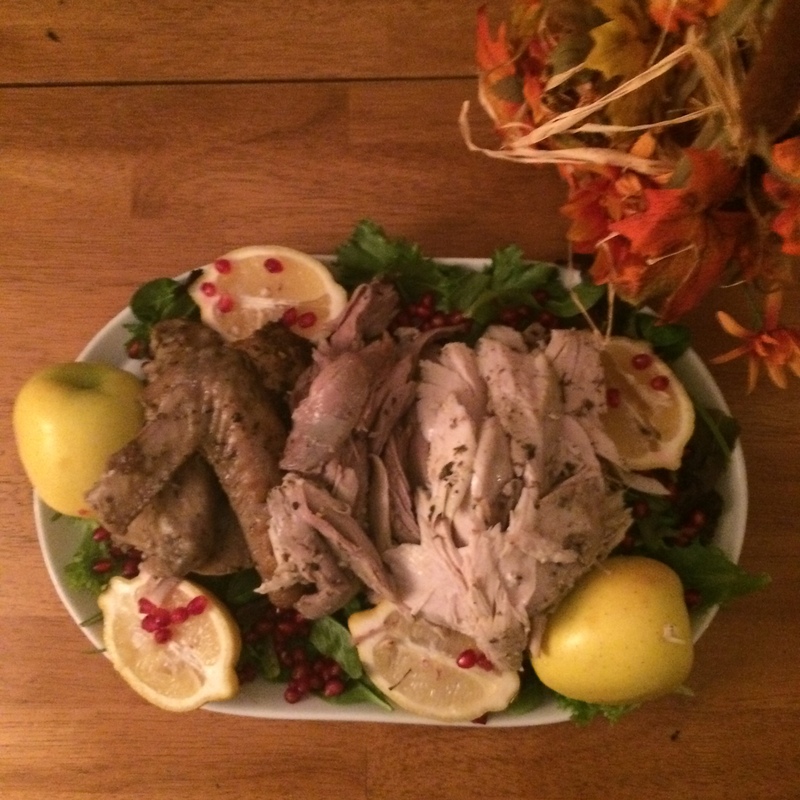 “Friendsgiving” is a quirky twist on the traditional Turkey Day feast. You gorge your face and celebrate what you’re thankful for, but not on Thanksgiving and not with your family. Instead, you spend this sudo-holiday with your closest, rag-tag group of friends. I’m also thankful to have found a group of friends here in Cleveland who I absolutely adore… And THRILLED to have been able to celebrate my Friendsgiving with them! I was given the daunting task of preparing the TURKEY, yikes! Luckily the hostess with the mostest (Meghan) was willing to help me out. 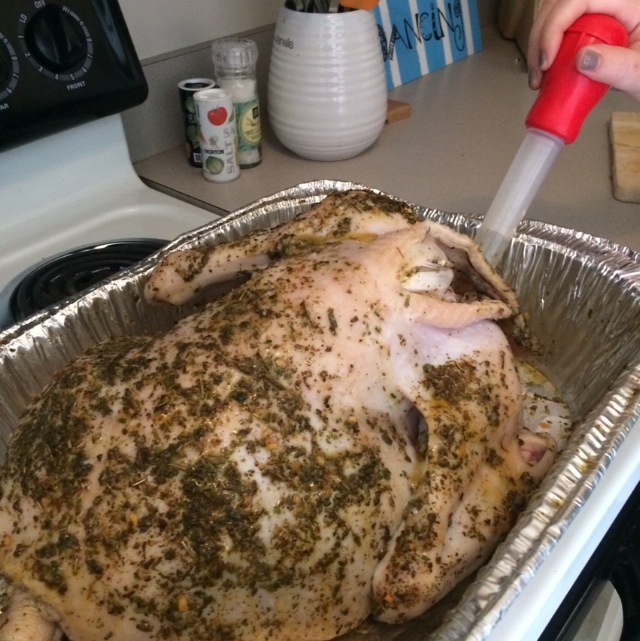 We used Urban Accent’s Gourmet Gobbler Brine Kit, and it turned out great! 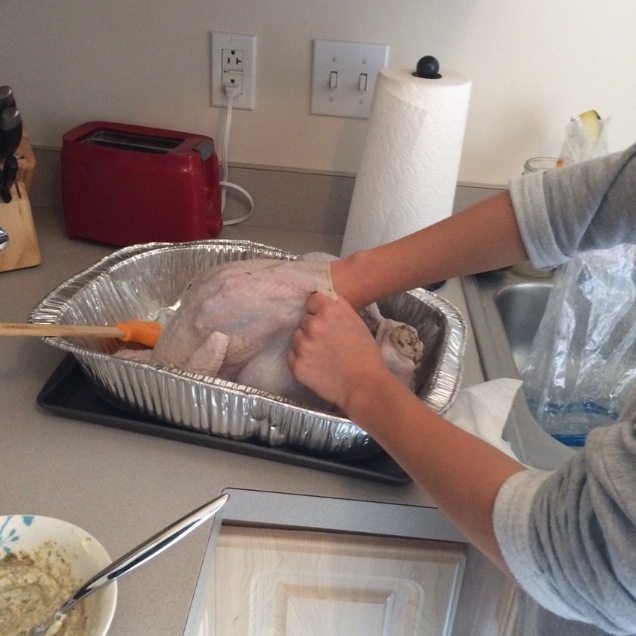 The kit included a brine mix, which I bathed the turkey in over night, and a spice rub for roasting! The turkey was just over 11 pounds, so it was about a three and a half hour bake. We used the baster every half hour to keep the meat nice and juicy! 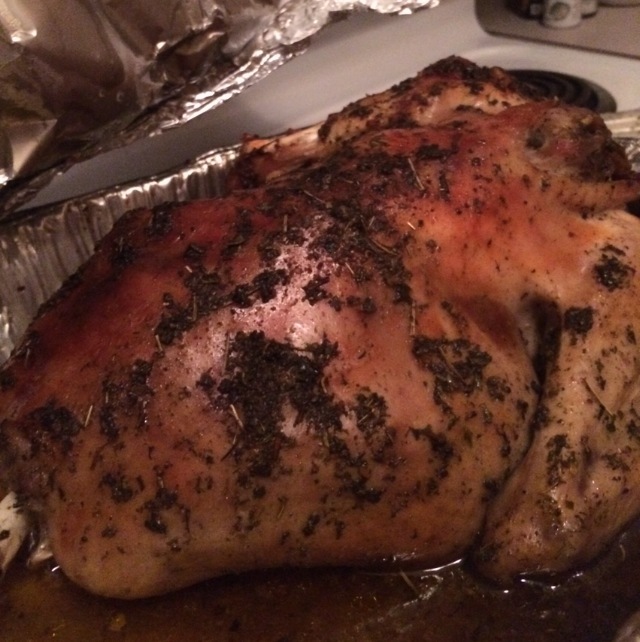 By the time we were done, the bird had crisped to a beautiful golden brown… I could barely contain myself. 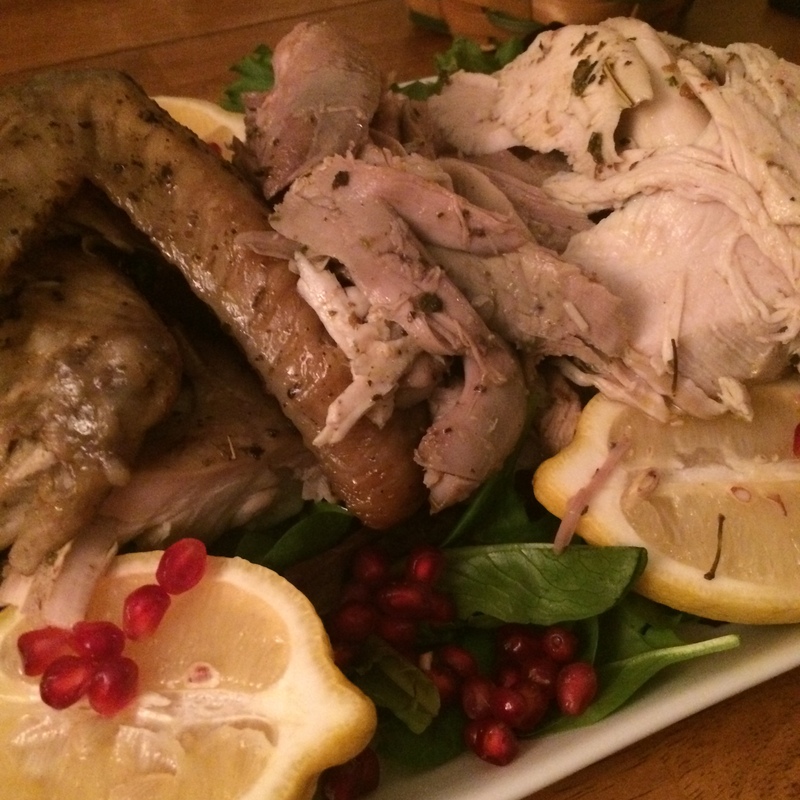 I plated my turkey on mixed greens with apples, lemon and pomegranate seeds. The gluten-free brine kit, cookies and other goodies were provided by, Udi’s! 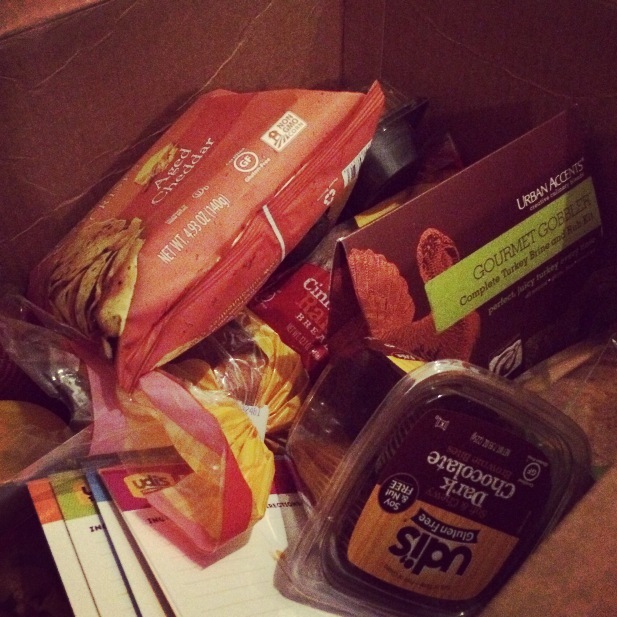 I was excited to put my Udi’s Friendsgiving package to use. And I have to say that I loved everything they sent! I’m looking forward to bringing some of their products out to Chicago and sharing my favorites with my gluten-free cousin! 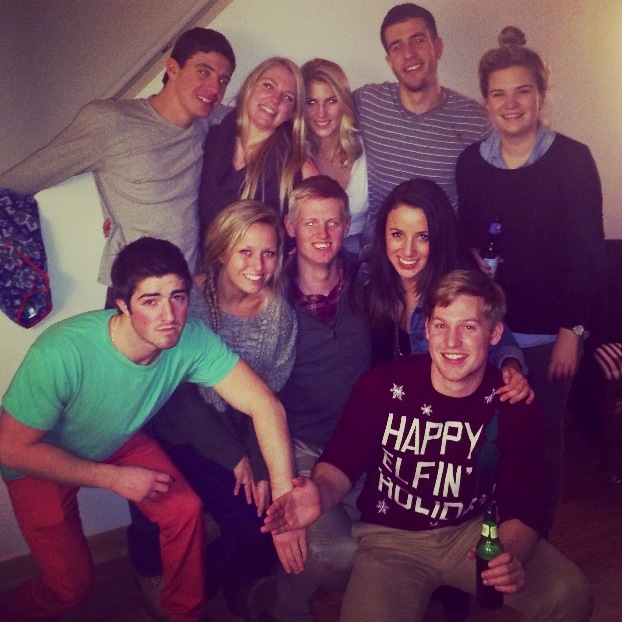 Happy #Friendsgiving, everyone!